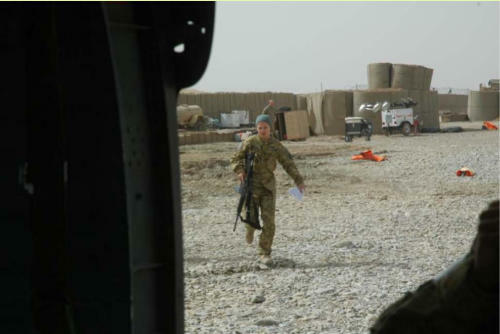 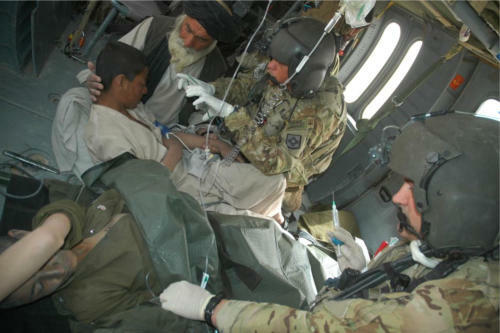 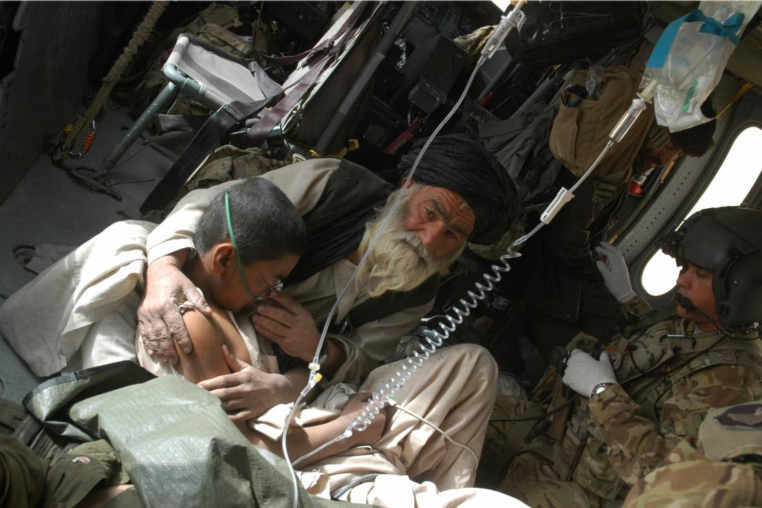 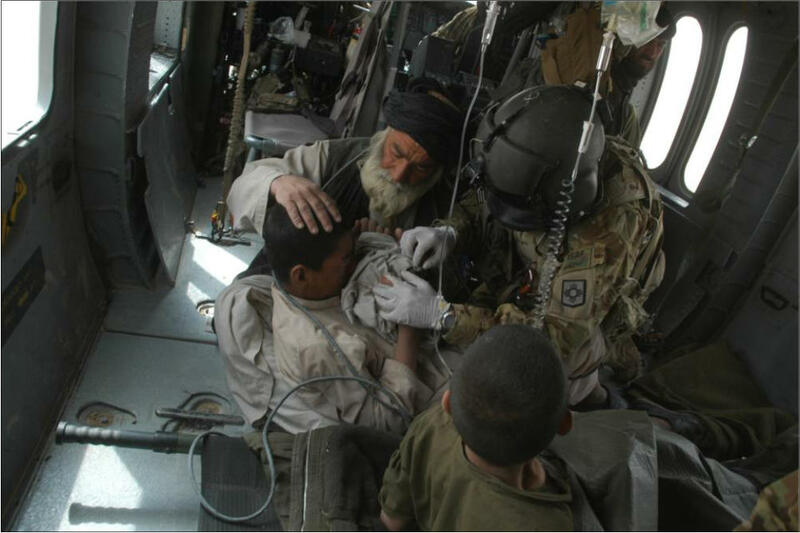 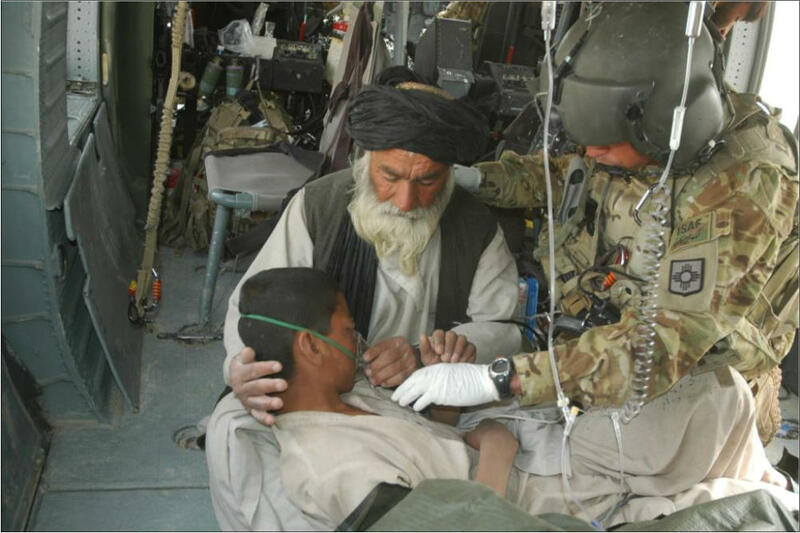 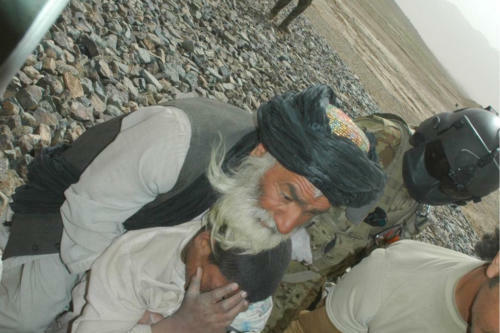 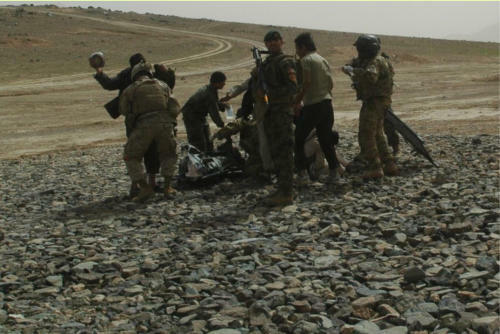 Sgt Heath Petty, front, and SSGT Jason Bowen, rear, seen here assisting two injured boys from an IED blast as medevac helicopter takes them to medical facility. 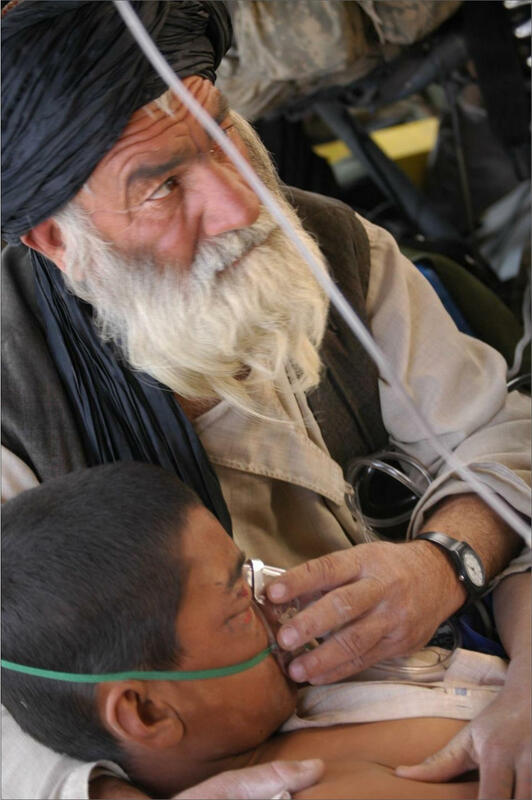 SSGT Jason Bowen seen here helping out patient and father. 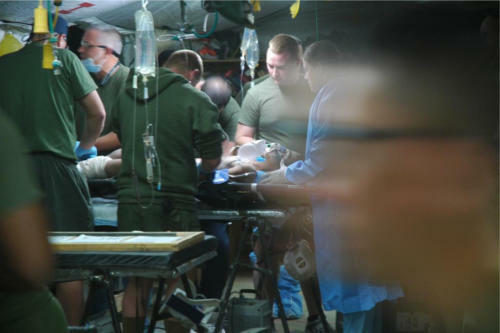 hospital scene where boy eventually lost his leg. 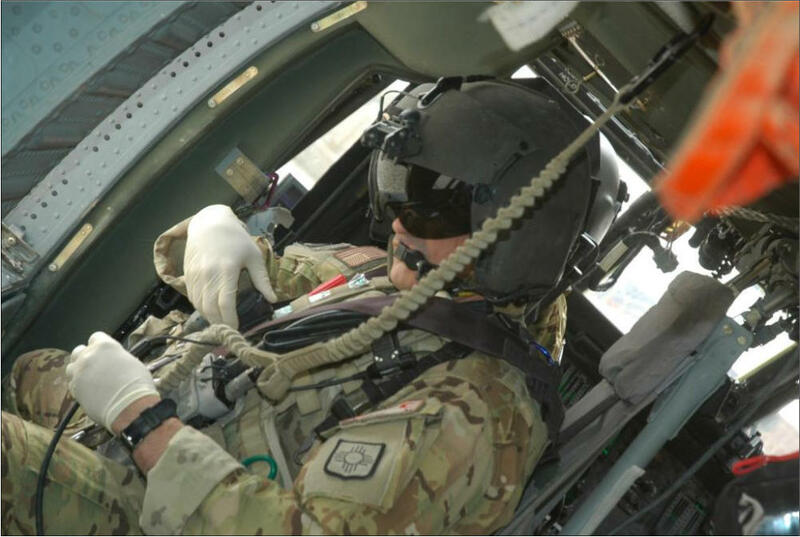 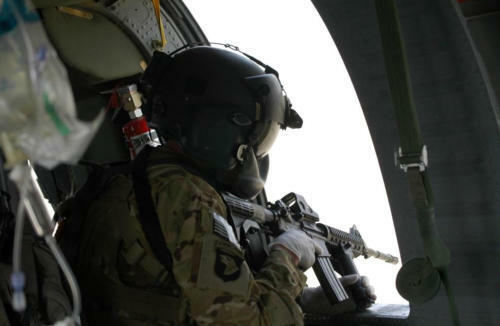 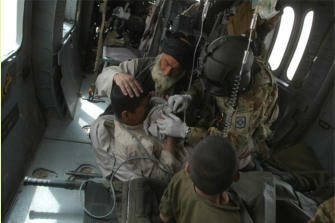 SSGT Jason Bowen, crew chief on medevac helicopter, is seen here assisting injured child.